Prime Minister Ruhakana Rugunda (R) with tourism beauty queens during the first annual coffee and tourism symposium. Prime Minister, Dr Ruhakana Rugunda has called on all coffee farmers and marketeers to focus on value addition if the country is to fully reap from its vast potential in coffee production. 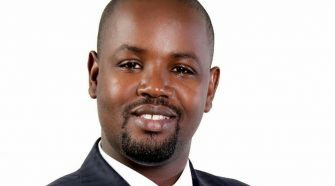 He said this on Thursday while presiding over the first Annual Coffee and Tourism Symposium held at Golden Tulip Hotel in Kampala. 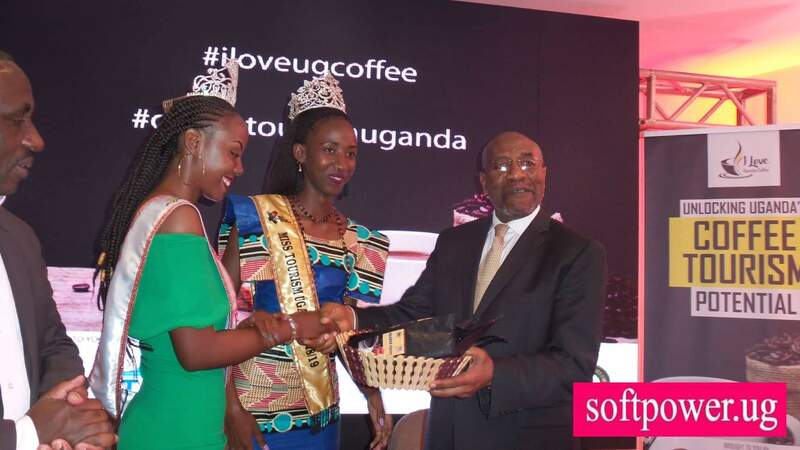 The one-day event was themed ‘Unlocking Uganda’s Coffee and Tourism Potential’. The symposium sought to engage stakeholders in the coffee sub-sector as well as those involved in tourism, on how to position Uganda as a producer of premium coffee. “This is a linkage that seeks to reinforce the two sectors to work together thus bringing in more opportunities including job creation and a good image for Uganda,” Prime Minister Rugunda said. He said such initiatives are critical if Uganda is to realize its coffee roadmap that seeks to see production of coffee grow from 3.5 million bags to 20 million bags by 2025. It is on this basis that Rugunda noted that government had taken deliberate steps to invest in the processing, harvesting and marketing of coffee products. He cited areas nearing Mount Muhavura, Mount Rwenzori and Sipi Falls as unique locations where people have taken on coffee growing as a business and boosted their family income. Rugunda called for continued public-private partnership ventures which he said will support Uganda’s eco-farming cycle for sustained coffee growth. He however stressed the issue of quality which experts have often pointed out as dragging the efforts to increase coffee exports from Uganda. According to Rugunda, a vibrant coffee sector would provide employment through coffee tours, in addition to increasing foreign revenue earnings, improving livelihoods, and enabling government to extend local amenities to the communities. On his part, the State Minister for Agriculture, Christopher Kibanzanga emphasized the critical role coffee farmers must play in the push to propel the sub-sector to the desired growth. “This is an indicator of more money and tourists coming into the country to embrace both Ugandan attractions and coffee. To the farmers, this implies the demand will shoot up and this will come with demand for improved skills in their production line,” Minister Kibanzanga said. Coffee tours that initially seemed like a wild idea have finally been embraced by Uganda Tourism Board (UTB) which adds to Uganda’s already many tourism products, he added. “This is the first step and it is time for coffee to be added onto the list of tourism products, so all those involved must live up to the dream. Be persistent and we will win,” he said. 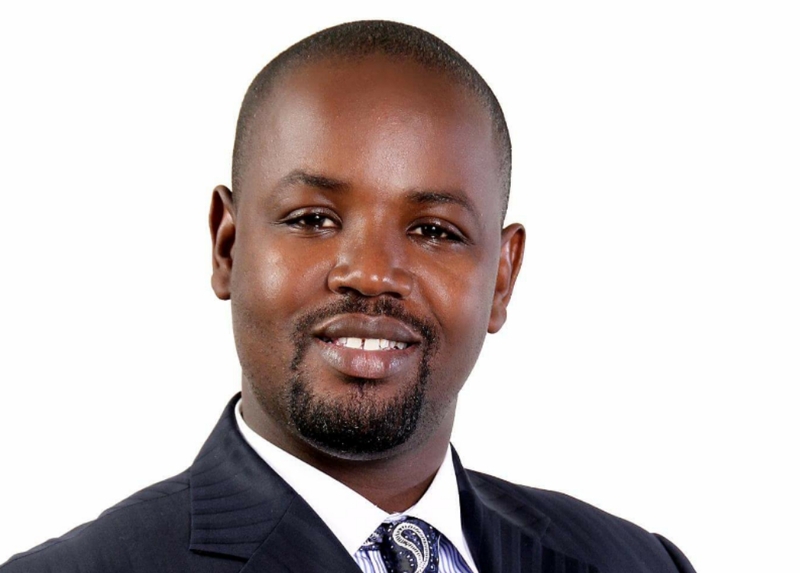 Daudi Migereko, the Chairman Board of Directors at UTB used the symposium to underscore the significance of the tourism sector to Uganda’s economy since it is the sector that earns the country the most foreign revenue. He said that it is time to expand tourism beyond wild safari walks, site seeing, birding among other activities that the sector has traditionally been known for, to activities like touring coffee farms. “If a tourist plying for example the Rwenzori route is given a moment to go to the coffee gardens, taste and get an experience, they will definitely share it with others and this sparks interest,” Migereko said. The Chairperson of Uganda Hotel Owners Association, Susan Muhwezi applauded the move to position coffee as a tourism product, terming it as “a game changer” for the industry. “Ugandan hotel owners need to build sustainable tourism today not based on numbers but rather the value added to it,” she said.